Clean-up is ongoing in the Memphis area after "Hurricane Elvis: The Sequel," as some call it, came roaring through late in the afternoon of June 12. 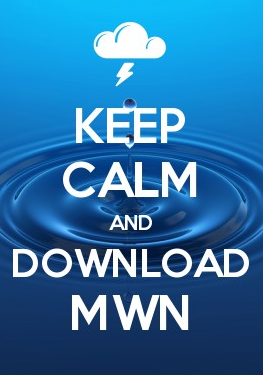 It's been 3 weeks since the derecho struck - complete power restoration by MLG&W took a few hours over 1 week to retore the approximately 140,000 customers that lost power during the storm and in a subsequent storm roughly 36 hours later. 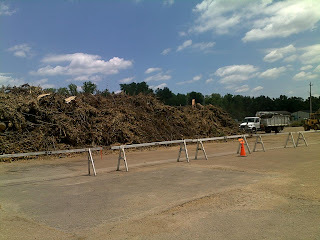 My area of town (Bartlett) still has at least a few more weeks of debris removal (mainly trees) to go with the hardest hit area stretching east near Elmore Road from west of Bartlett Boulevard to Kirby-Whitten Road. 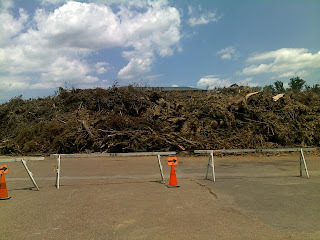 In fact, city officials have estimated that more debris was created from this storm than the original "Hurricane Elvis" of July 22, 2003, which tended to focus its damage over the heart of Memphis rather than in its northern suburbs. Below you will find the process Bartlett is using to rid themselves of the debris - huge piles of dead trees limbs, branches, and trunks are being ground up into mulch. Be looking for a mulch giveaway at some point! If you haven't read my event analysis of the storm, it's worth checking out (in my humble opinion) and is written for the layman to understand. There are also links to my damage photos, radar and satellite imagery, etc. at that link as well.